This post originally appeared on East Asia Forum. On 13 November, WikiLeaks released a secret draft text of the Intellectual Property Chapter of the Trans-Pacific Partnership (TPP). The text reveals substantive proposals for expanded protection in respect of copyright, patent, trade mark andtrade secrets law, and intellectual property enforcement. Across this, there is much cause for concern. In particular, the IP Chapter poses worrying challenges for patient care, access to medicines, and public health across the Pacific Rim. As WikiLeaks Editor-in-Chief Julian Assange warned, ‘[i]f you’re ill now or might one day be ill, the TPP has you in its crosshairs’. With the drafting notes intact in the leaked TPP draft, the text reveals a fierce battle amongst the Pacific Rim nations over patent law, public health, and the objectives and the principles behind the TPP’s IP Chapter. New Zealand, Canada, Singapore, Chile, Malaysia and Vietnam have proposed that the agreement should ‘support each Party’s right to protect public health, including by facilitating timely access to affordable medicines’. As an additional clause, New Zealand, Canada, Singapore, Chile and Malaysia have proposed the agreement should recognise that countries can ‘adopt measures necessary to protect public health and nutrition’. The US and Japan opposed such recognition of the importance of public health in the agreement’s objectives, with Peru, Brunei Darussalam and Mexico withdrawing their names from the proposal to include public health in the TPP objectives. In contrast, Australia has reserved its position on the scope of the objectives — a disappointing stance given that Australian leaders have publicly emphasised the importance of public health measures, such as access to medicines and the plain packaging of tobacco products. The TPP contains a raft of measures designed to boost the position of patent holders in the fields of pharmaceutical drugs, medicine and biotechnology. The US has proposed a broad approach to patent law — demanding that plants, animals and medical procedures be subject to patent protection by Pacific Rim members. This could result, particularly for medical procedures, in greater patent litigation against doctors, surgeons and medical professionals. In addition, the US has argued for extensions of the patent term in respect of pharmaceutical drugs, including extensionswhere there have been regulatory delays — something which could result in skyrocketing healthcare prices. A review of pharmaceutical drug patents in Australia, for example, found that patent term extensions were exceedingly expensive in Australia. There has also been concern about the problem of patent ‘ever greening’ — that the TPP will impose low patent standards ‘likely to lead to a proliferation of secondary patents being granted … preventing fair competition for long periods’. This would be an undesirable outcome, creating excessive opportunities for the extension of monopoly protections. The US also argues for patent-registration linkages to marketing regimes. There has been significant debate over theprotection of undisclosed data for regulatory purposes. The UShas proposed 12 years for data exclusivity for biological medical products, though the text on this proposal was, unfortunately, not amongst the leaked material. The US has also controversially pushed for the cross-border seizure of infringing IP in transit. In light of past controversies with the seizure of Indian generic drugs, it is possible that such text could result in the interdiction of medicines in transit. Given what is at stake, the TPP is a matter of life and death: it will affect access to life-saving medicines, drugs and treatments in developed and developing countries across the Pacific. It is also very questionable whether the TPP’s IP Chapter fully embodies international understandings about the need for flexible public health measures, as reflected in the WTO through the Doha Declaration on the TRIPS Agreement and Public Health 2001 and the Decision of the General Council of 30 August 2003. The US and its allies have proposed measures that would raise prices and reduce competition. This includes the Obama administration’s revocation of a 2007 agreement between the Bush administration and the Democrat-controlled Congress to give developing countries more flexible access to medicines through IP laws. In addition, the US has sought to limit the use of compulsory licensing, which would provide access to patented inventions in respect of medicines. A group of five countries — Canada, Chile, Malaysia, New Zealand and Singapore — have put forward a counter-proposal to the US demands on medicines. Krista Cox of Knowledge Ecology International observed that the counter-proposal ‘preserves TRIPS flexibilities, and specifically takes into account important factors including the public interest, levels of development, and the potential for abuse of intellectual property rights by the right holders’. Australia has been passive in the debate over access to medicines. Earlier this year, the Coalition party, then in opposition, opposed a bill that would have provided for the export of essential medicines to developing countries. It will be interesting to see what stance the now in-office Coalition government will take in the TPP on IP and drug pricing. As all this suggests, the TPP’s draft IP Chapter confirms many of the concerns put forward by public health advocates prior to its release. The TPP is a surgical strike against public health. The text demands that signatory parties amend their laws in a manner that risks the health of their citizens and is ethically questionable. Médecins Sans Frontières has warned: ‘The leak of the secret text confirms that the US government continues to steamroll its trading partners in the face of steadfast opposition over terms that will severely restrict access to affordable medicines for millions of people’. 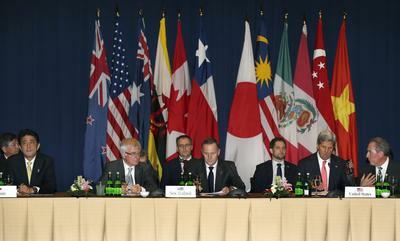 Obama may struggle, though, to obtain support for the TPP from the US Congress. Indeed, 151 House Democrats and 25 House Republicans have already signalled their opposition to granting Obama a fast-track authority for the TPP. And, on the 27 November, after much criticism at the Salt Lake City talks,the USTR announced that it will put forward new revised proposals on intellectual property and access to medicines in the TPP. It remains to be seen whether such proposals will remain unpalatable to the other Pacific Rim nations. Alexandra Phelan is an international health and human rights lawyer and doctoral candidate specialising in global health law at Georgetown University, Washington DC. Dr Matthew Rimmer is an Australian Research Council Future Fellow, an Associate Professor at the ANU College of Law, and an Associate Director of the Australian Centre for Intellectual Property in Agriculture (ACIPA).